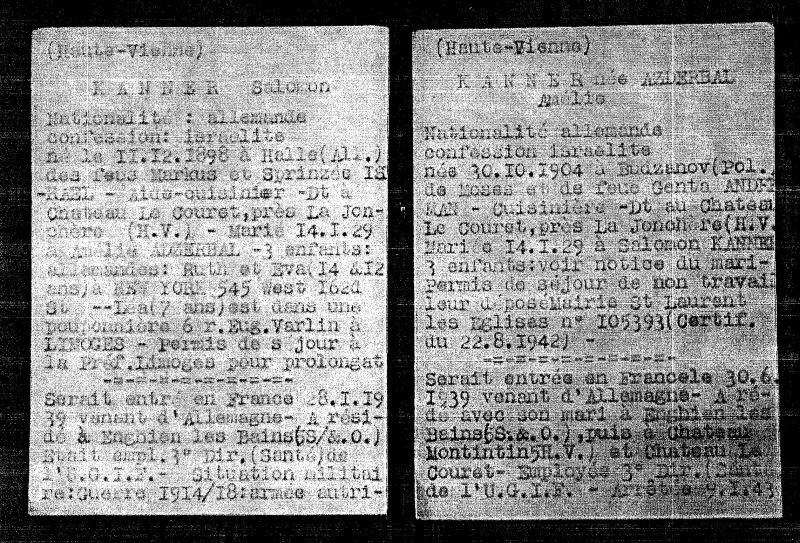 Record of Sal and Mia's incarceration in Nexon, the French Transit Camp. This shows the front of the documents (Sal's on the left, Mia's on the right). Click here to view the backs.